If your looking for the perfect, refreshing drink I have the recipe right here. 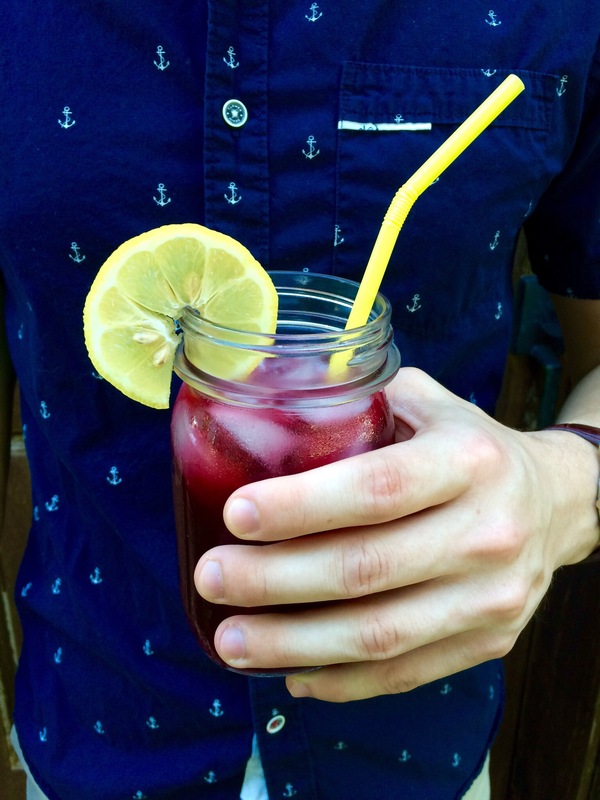 I have a little obsession with tea, especially flavored iced teas and this recipe is one of my favorites. 1)Tea is always better made the day before. If you can’t make it the day before, at least chill it a hour before serving. 2)You can use frozen or fresh blueberries, use whatever is available to you. 3)I use Red Rose tea, cause it’s my favorite. Use whatever tea you like. Bring the blueberries and lemon juice to a boil in a medium-sized saucepan. Simmer for about 5 minutes. Bring the water and tea bags to a boil and let steep for at least 20 minutes. Over a pitcher, strain the blueberries through a mesh sieve. Strain the tea through the sieve as well. Add in sugar and stir well. Fill the rest of the pitcher with water and chill for at least an hour, preferably overnight. Enjoy!